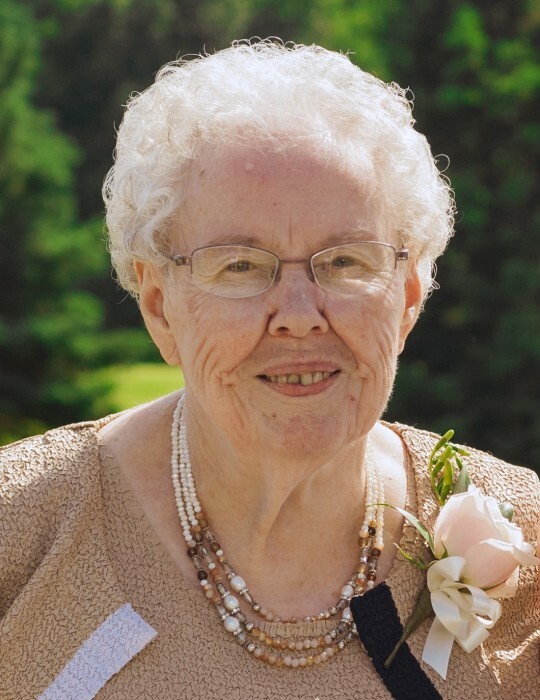 It is with sadness we announce the passing of Lillis Hawthorne of RR1 Cobden, who passed away peacefully in the Ottawa Heart Institute on Thursday October 11, 2018 at the age of 90 years. Lillis Hawthorne nee Bennett beloved wife of the late Gordon Hawthorne. Dear mother of Helen (Gary Spencer), Kenneth (Donna) Hawthorne. Loving grandma to Erin (Geoff), Brian, Sharon (Alex), Heather, Dana (Chris), Steven (Carla) and great-grandma to Hannah, Caitlin and Callie. Also survived by 3 sisters Annie Taylor, Clair Huckabone, Linda (Gerry) Kohlsmith and 2 brothers Millar Bennett, Carson (Nora) Bennett, 2 sisters-in-law Edna (Ray Watchorn), Joyce (late Arnold Bennett) and 1 brother-in-law Glen Byce. Predeceased by a son Glen (Jan) Hawthorne. Friends may call at the Fraser – Morris and Heubner Funeral Home Cobden, Sunday October 14, 2018 from 2 – 4 and 7 – 9pm. and Monday from 12:30 until 1:30 pm. Thence to Trinity United Church, Foresters Falls for service at 2 pm. Interment Beachburg Union Cemetery. As expressions of Sympathy Donations to Trinity United Church Memorial Fund or the Ottawa Heart Institute would be appreciated.